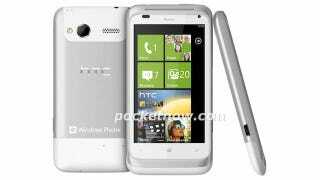 PocketNow has a leaked photo of the upcoming HTC Omega and it looks like there's a front facing camera. WP7 has lagged on that so it's great to see them reach some feature parity. Oh and using a 1.5Ghz Snapdragon processor doesn't hurt either.